Year after year, Paris continues to be the #1 most visited city in the world. I've had the chance to visit Paris twice, and I've still barely scratched the surface of what the city has to offer. Everyone's tastes are different, however I'm confident at least half my picks would make anyone's top 10 list. So search for your Paris Hotel, pack your bags, and let's get moving. The lead singer for The Doors is buried in Pere Lachaise Cemetery. He's in good company too, given such luminaries as Oscar Wilde and Marcel Proust are also interred there. My Experience: I tried to visit the cemetery during my second trip to Paris in 2008, however it was Winter, and the cemetery had been closed due to icy conditions. While technically in a suburb of Paris, I'm including this royal chateau and UNESCO World Heritage Site because it's an easy day trip from the city. Versailles is an utterly immense building covering 67,000 square meters and containing 2,300 rooms. It's royal opulence is a testament to the old French monarchy. The whole complex is surrounded by expansive gardens too. My Experience: Versailles is the only other site on this list I've yet to see for myself. I've seen plenty of royal palaces, but their grandeur never cease to amaze me. 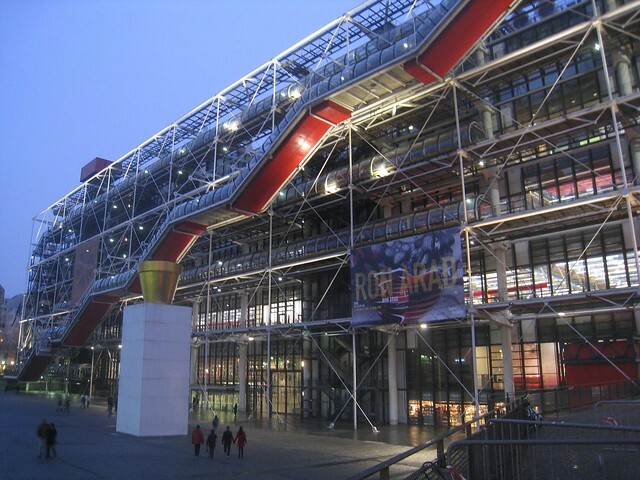 The Pompidou houses a large public library, as well as the city's modern art museum — one of the biggest in Europe! The architecture of the building alone warrants a visit. As you can see in the photo above, the escalator is featured outside the walls of the Pompidou. The whole structure feels transparent, a mix of steel and glass that seems to be effortlessly supporting the weight of the building. Nearby, there is also a water fountain filled with playful sculptures. My Experience: I have fond memories of my first visit to the Pompidou, way back in 1998. Me and my friends, tired from searching for hostels with free beds or affordable hotels in Paris (due to the World Cup), stopped by the fountain to take a break. It wasn't until my return in 2008 that I actually got to go inside, explore the various galleries, and see the city views from the top floor. 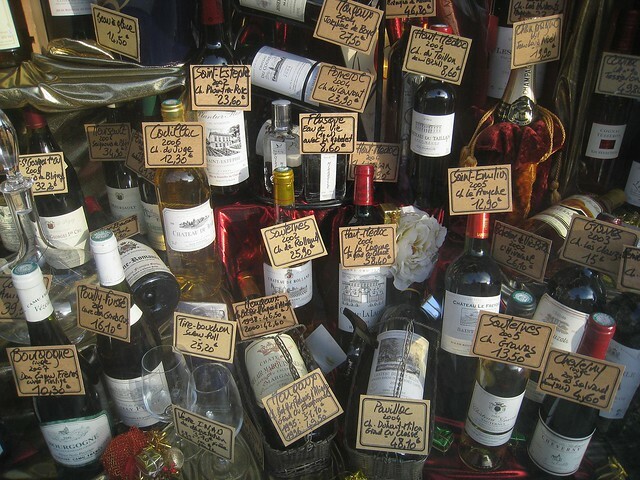 France is world renowned for its wine, and Paris is the perfect place to sample a glass from Bordeaux, or if you're feeling celebratory, perhaps a bottle of bubbly from Champagne. Pair your selections with a cheese plate, sit back, and enjoy. My Experience: I view Paris differently than I did 15 years ago, when it was just a jumble of iconic sites that had to be seen. Now, I see it through the eyes of a foodie. Cafes, pastry shops, and fine dining. Those are the images conjured up when I think about a 3rd visit to the city. Montmartre is a hill upon which sits the Basilica of Sacre Coeur. Because Paris is relatively flat, a walk up Montmartre offers visitors expansive views of the city. As one of the most visited sites in the city, the grounds are always filled with street performers, and off to the side of the Basilica is a park where artists display their works. My Experience: Remember that cold and wintry weather that kept me from Jim Morrison's grave? Well earlier that day my Parisian friend Laura had taken me to Montmartre. The overcast skies, and light sleet, dampened the views but it was easy to imagine how nice it'd be on a clear day. Plus, it's free! 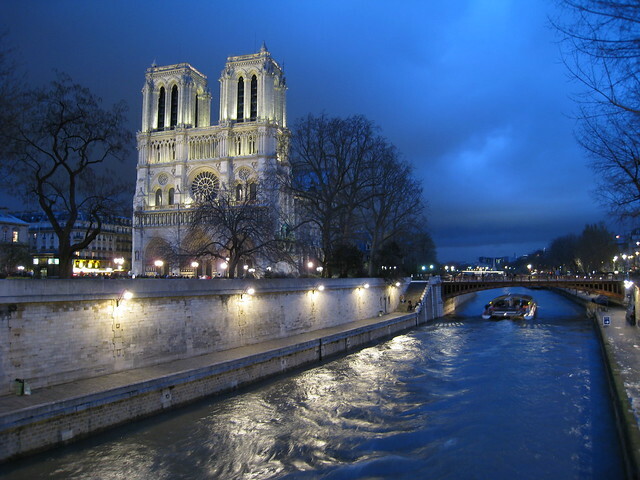 Notre Dame is a Gothic, Roman Catholic cathedral situated on the banks of the River Seine. It's one of the first cathedrals to use the flying buttress system to help support the walls. This external support system would allow future cathedrals to reach higher and higher heights. My Experience: I'm a cathedral buff, so this one was a must-see for me during my first visit to Paris, but I didn't get to spend much time there taking it all in. 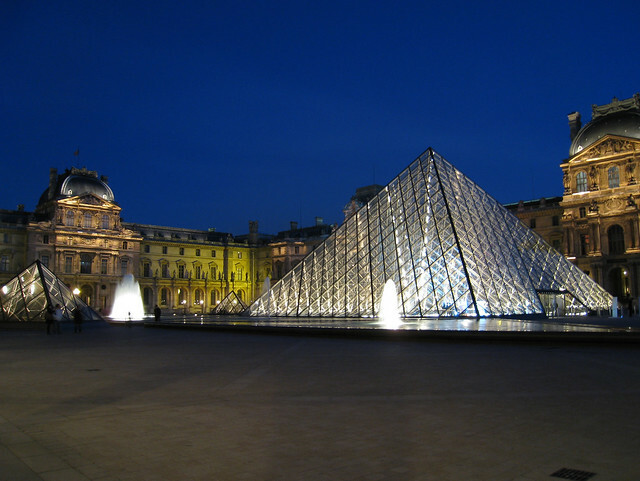 The Louvre is perhaps the most famous and well-known museum in the world, on account of The Mona Lisa by Leonardo DaVinci. It's also the world's biggest. While the Mona Lisa's mysterious smile is enough to draw millions, the museum is gigantic, and houses more paintings, sculptures and pieces of artwork than any person can bear in a single, or even multiple, visits. My Experience: I went in Summer, waited in a long line, and was unimpressed with The Mona Lisa. It was swamped with people, and is actually behind a protective plastic or glass barrier, which immediately takes away from the experience. But it was the frenzy of people that was the real turn off. I cut my losses and wandered the rest of the museum, but soon found myself overwhelmed. I recommend people limit their time, and if possible, know the artwork they want to see before they get there. This Impressionist museum is housed within a former train station, and features works from the greats, including Monet, Van Gogh, Manet, and Degas. Less visited then the Louvre, you'll face smaller crowds, and hopefully find the museum much more manageable. My Experience: By comparison to the Louvre, I found the Musee d'Orsay to be a real pleasure. I love it when a museum is housed in an interesting building, as it makes the whole experience more unique. The Champs Elysees is a wide avenue, featuring plenty of Paris hotels, and enough shopping to keep any woman happy. 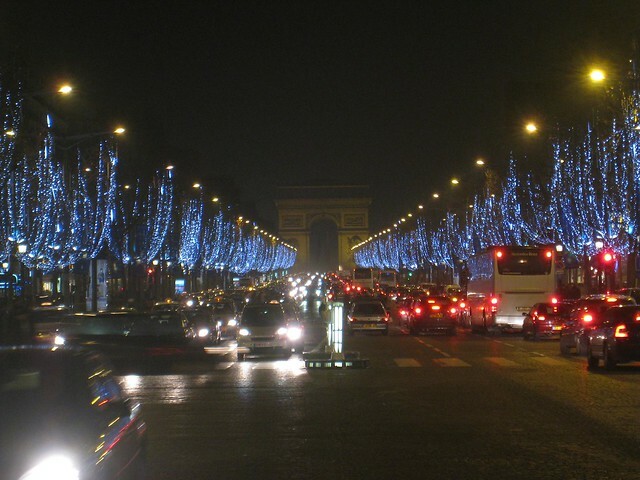 A walk down the Champs Elysees is an experience any time of year. It's like taking a walk down New York's Broadway — always interesting, and terrific for people-watching. The Arc de Triomphe is an icon of the city — Napoleon Bonaparte's homage to victory. You can access the Arc via an underground passage, but it's more harrowing to try and cross the street above ground. Good luck! My Experience: I did the walk both during the day in Summer, and at night in Winter, when the trees lining the streets were decorated with blue Christmas lights. 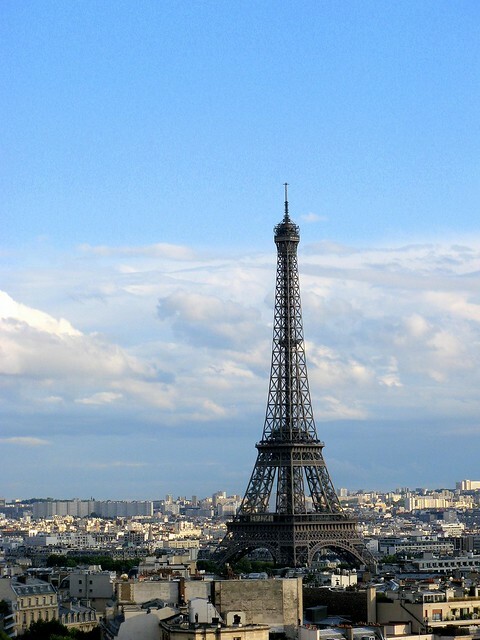 The #1 spot on my list goes to the #1 icon of Paris, the Eiffel Tower. Whether you choose to ride up the tower elevator, or take to the stairs, time your visit for sunset and you'll be treated to one of the most romantic experiences the city has to offer. Been there, done that? You can't go wrong with a return visit to picnic and camp out in the surrounding park. My Experience: I visited the Eiffel Tower during both my trips to the city. The first time, the upper deck was closed, but I caught a gorgeous sunset. And the second time, I was content to simply peer up from the ground. What sites or experiences would you add to this list? This post was written by me, and brought to you by ParisHotels.com. Nice list, I’ll definitely show this to the people who come to visit me! I’d also add to the food section — buy a freshly-baked baguette, get a macaron from Pierre Herme, try a croque monsieur, or take the wine and cheese out to picnic at one of the gardens…basically indulge in as much delicious food as possible when in Paris! Louvre by itself is a world in a building that showcases huge amount of valuable and interesting objects that makes a trip to France worthwhile. Thanks for sharing all the other fascinating places. Versailles was a let down for us when we went to Paris. Too crowded and didn’t live up to the hype. One place that I would add is going up Montparnasse tower and see the sunset over paris. and never forget to go to a show at the Moulin Rouge !!!!!!!! that’s one thing you will never forget, not to forget to visit the Chanel shop , even if you just buy a bottle of perfume. I agree Karola, I’ve been to Paris twice, and the second time when I was staying with a Parisian friend was much more fun. Wow.. And what’s more lucky about this, I found you finally. Just so awesome, got to learn and be inspired more from you. Thank you Dave!